A brand new facade for the A5 definitely puts this ahead of the competition. Sportback version maintains the stylish cope look while having the convenience of a hatch/wagon. New 3D lines and bonnet gives a more muscular look but still maintaining its elegance. Interior is a huge upgrade with the new Virtual Cockpit. The new shorter shift-stick gives a faster shift feel. The new wing-style dashboard makes the entire interior a flight deck look. The new chassis is lighter and the 2.0 TFSI engine now yields 190 bhp. Quattro version could have been better but the extra dollar is very hard to justify. We don't have road conditions in Singapore that needs 4WD but it will still be a good to have. Drive is quiet and pliant, a light touch on the steering is only required to put this machine ahead. All in all, a huge upgrade in the previous version. Audi Singapore is now giving 5 year warranty thus giving consumer a stronger confidence compared to other brand. New exterior design. Virtual Cockpit. Quattro is great but not the price. Authorised Distributor Audi cars are Audi A3 Cabriolet Reviews, Audi A3 Sedan Reviews, Audi A3 Sportback Reviews, Audi A4 Avant Reviews, Audi A4 Sedan Reviews, Audi A5 Cabriolet Reviews, Audi A5 Coupe Reviews, Audi A6 Reviews, Audi A7 Sportback Reviews, Audi A8L Reviews, Audi Q2 Reviews, Audi Q5 Reviews, Audi Q7 Reviews, Audi Q8 Reviews, Audi R8 Reviews, Audi RS4 Avant Reviews, Audi RS5 Coupe Reviews, Audi S3 Sedan Reviews, Audi S3 Sportback Reviews, Audi S4 Avant Reviews, Audi S4 Sedan Reviews, Audi S5 Cabriolet Reviews, Audi S5 Coupe Reviews, Audi S5 Sportback Reviews, Audi SQ5 Reviews. Parallel Imported Audi cars are Audi A5 Cabriolet Reviews, Audi A8 Reviews, Audi A8 Diesel Reviews, Audi Q3 Reviews, Audi Q5 Reviews, Audi Q7 Reviews, Audi Q8 Diesel Reviews, Audi S5 Cabriolet Reviews. sgCarMart is the number one car site for buying Singapore cars, including new cars, parallel import cars, Toyota, Honda, Nissan, Volkswagen, Mitsubishi & BMW. 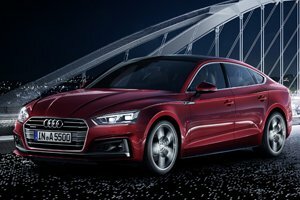 We have new car dealers comprising parallel importers, authorised car distributors, and used car dealers who have the New Audi A5 Sportback latest price Find new car pricelists, new car launches, new car promotions, new car reviews, latest car news & car articles. Read the New.Audi A5 Sportback consumer reviews to help you decide on buying a car. Also join our car discussion and forum discussion for car reviews, motoring news & motoring guides. Visit our partner sites who have job openings for Singapore jobs, Singapore classifieds, mover and real estate properties for sale.